This £20 is your deposit only! If you require more than a font only logo, you will be quoted and required to pay the balance before receiving your logo. This is a personalised service and the more information you give me about your business, your logo and send over previous logo’s and ideas the better I can get a feel of your business and the type of logo you’re after. In order to book me to design and create your logo, you will need to pay £20 up front. COMPLETE THE BOOKING FORM BELOW & pay your deposit. You will receive a confirmation email, which you must reply to, here you can tell me about the type of logo you are after, colours and send me examples. I will confirm with you via email that I have received your request within 48 hours and if there is any further information required will ask for it via email. At this point, I will be able to give you a rough idea of the price. You will receive 2 – 3 screen shots of different design options for your logo, just to check I am on the right track. At this point, you must let me know if there are any changes required or if you would like a change of direction. Once we have agreed on a design and the price, I will send a Paypal invoice. On receipt of payment, I will purchase any graphics and finalise the logo for you to use in print or online. 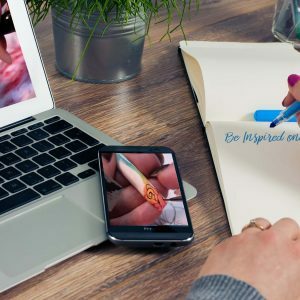 You will receive your logo in two formats a PNG file, which is a transparent version of your logo to use images as a visual branding option for social media & a Jpeg. If you require further tweaks and amendments in the future, I will retain a copy of your logo design for this purpose, however, these changes will be chargeable. SO FILL OUT THE BOOKING FORM BELOW, and pay your deposit. Can I use this on business cards, aprons, towels, and shop front signage? Yes, most certainly, you will receive a large, high resolution image file, in two formats, PNG file, which is a transparent copy (no back ground) this is perfect to send to a printer, pop your logo on a different colour back ground or use in your social media images as a water mark. Is it just logo’s or can you do other stuff to help with my branding. YES, I can help you with all forms of marketing, direct and social media. For example, do you need a Facebook banners for pages and groups, create a new appointment card for printing? What if I need to update my logo, or change any detail on it? If you need to update your logo of change some details on it, you will be charged by the hour. If it is a minor change and takes a few minutes the cost will be invoiced accordingly. 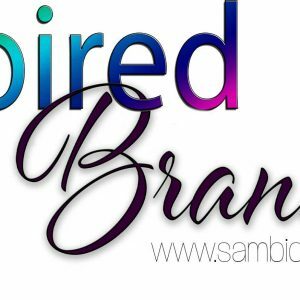 Just email me at beinspired@sambiddle.co.uk and we can discuss this should you need it. Please give me 7 days to process your order and get your initial proofs out to you by email. depending on how quick you reply, we can get your logo completed within as little as 48 hours (depending on demand), but up to 7 days. What if I don’t like the logo? This deposit is a sign of good will and enters you into an agreement with me. I will be spending some time on your logo and processing your booking, this desposits shows me your serious about finalising the agreement. Yes and no. If no work has been carried out on your logo and nothing has been sent over to you then a 100% refund can be requested. If you have received some screen shots and we have been discussing your logo design ideas, this means I have spent time and effort on your design. I will only issue a partial refund, depending on how much work has gone into your design so far. If you have received a finalised logo design and paid your invoice, then there will be no refund offered. How quick and easy was this?! Sam literally pulled the design from my brain when i wasn’t even sure what i wanted!! Cant recommend Sam enough, very quick, easy and extremely pleasant to deal with. Thank you!